Survive by staying in the light. Escape by travelling between worlds. Find out what happened to Dormont. Decide what happens to yourself. 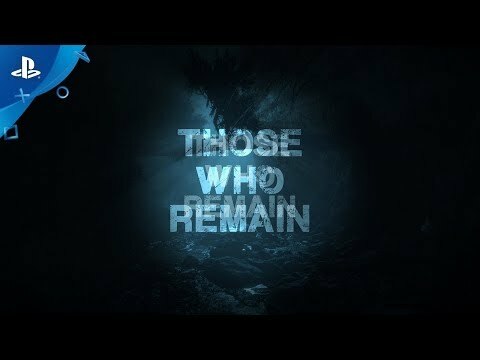 Those Who Remain is a psychological thriller game that takes place in Dormont, a small town in the US. Dormont appears to be a regular and typical American town at first glance, however it is cursed by a demon who shrouded everything in darkness. Most of the town's population has been trapped inside the darkness, with no means of escape. Edward Turner is just an ordinary man with a troubled past, who arrives in the wrong place at the wrong time. But he soon finds out that something is very wrong in Dormont. There are strange creatures roaming in the dark, killing everyone who gets close. The only way to survive is by staying in the light. The danger in the dark is not the only thing at play in Dormont. There are strange portals that emanate a bright light, which seem to bring anyone that goes through them to another place, similar yet different, apparently unreal but very real. Actions taken in one place have repercussions in the other.